This was the band’s third release and it really signaled the changes to come over the band’s next two releases. I can definitely hear similarities here to what I believe is their best effort — 1987’s Hall of the Mountain King. Also, “Hard for Love” is a fairly commercial effort, giving another taste of the future when the band would follow this release up the very next year with the mainstream hard rock sounds of Fight for the Rock. Not that I’m complaining though, it’s a darn catchy piece of almost hair metal. The rest of the album does not follow that format, it’s power metal through and through. 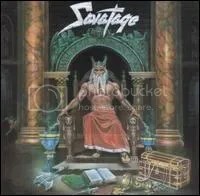 Though respected, this album generally doesn’t seem to rank amongst the best of the Savatage albums. I’m not sure why. There’s some filler here but “Power of the Night”, “”Warriors”, “Unusual” and “Necrophilia” are classic Savatage tracks. A great & worthy follow-up to the excellent Hall of the Mountain King. 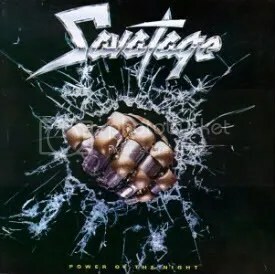 This would be Savatage’s final album before they got too smart and serious for their own good (in my opinion) starting with 1991’s Streets: A Rock Opera. Supposedly, “Thorazine Shuffle” was a “bonus” track for cassette and CD pressings of this album. 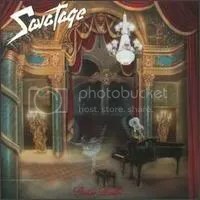 My favorite Savatage release and one of my favorite albums ever. It was the first Savatage album I tried and that was because it was the cheapest Savatage album I could find at FYE one day. I think it had the “NICE PRICE” of $9.99. Score! I was blown away by this album and I still am to this day. Creepy and atmospheric, nothing before or since by the band has come close to this release, IMO. My favorite track is “Hall of the Mountain King” where Jon Oliva really goes insane.